According tothe Unitarian Universalist Association. “I like to call Unitarian Universalism a religion that is beyond belief. We won’t ask you to try to believe what you find unbelievable. We do challenge ourselves to be faithful to our highest aspirations and to our most deeply held convictions. Here you are affirmed for who you are. And challenged to become your best self. Here you can grow and change within a community of faith that grows and changes with you, that asks tough questions and offers real service, that helps you to live a more meaningful life. Our seven Principles are one response to those questions–created democratically by over 1000 congregations in the U.S. and Canada. Our open and embracing worship services, religious education, and rites of passage; our work for social justice; our quest to include the marginalized; our belief in the power of love–these things unite us on a deeply meaningful path of nurturing spirits, and healing the world. Ours is a religion with deep roots in the Christian tradition, going back to the Reformation and beyond, to early Christianity. Over the last two centuries our sources have broadened to include a spectrum ranging from Eastern religions to Western scientific humanism. 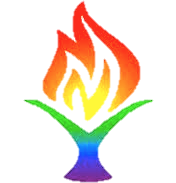 Unitarian Universalists (UUs) identify with and draw inspiration from Atheism and Agnosticism, Buddhism, Christianity, Humanism, Judaism, Earth-Centered Traditions, Hinduism, Islam, and more. Many UUs have grown up in these traditions—some have grown up with no religion at all. UUs may hold one or more of those traditions’ beliefs and practice its rituals. In Unitarian Universalism, you can bring your whole self: your full identity, your questioning mind, your expansive heart.